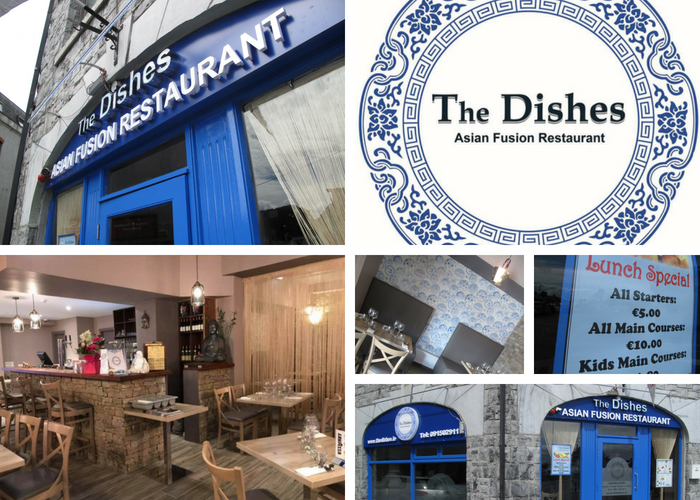 Crafting sumptuous servings inspired from far-flung destinations like Japan, China, and Thailand, The Dishes Asian Fusion Restaurant is Galway's newest member of the restaurant family. Having opened last Wednesday, July 18, The Dishes is a must visit especially for those with a palate for authentic Asian cuisine. Combining vegetables and meats that are sourced locally, with herbs and spices imported from all over Asia, the kitchen crew at The Dishes serve up meals that would struggle to be better in the likes of Thailand and Japan such as the quality and authenticity of the dishes. Using only the freshest ingredients, the team is proud to say none of the meals they serve contains MSG or colouring. Cooking up such favourites like pad Thai, sushi, and classic Chinese (Mandarin ) meals as well as vegetarian options, The Dishes is guaranteed to satisfy anyone's hunger for Asian street food. A customer's biggest problem at The Dishes will be choosing a meal from the vast array of options on the menu. But there is no need to worry, as the chef and staff lend a helping hand with their favourite dishes highlighted on the menu. To complement the delicious dinner is an extensive red/white wine list for the customer from which to choose. Located at the old premises of Pearl na Mara, The Dishes provides a chilled out, casual, dining setting which is perfect for a date or get together with friends or family. However, for customers who are looking to eat on the go, the restaurant provides a takeaway service with the same great taste. Open seven days a week, from 12.30pm to 10.30pm, the restaurant is incredible value for money with lunches costing €10 and dinners priced at no more than €14; quality Asian street food for street food prices. For more information visit The Dishes Asian Fusion Restaurant on social media or to make a reservation or to order a takeaway call 091 502911. Page generated in 0.0835 seconds.